Upernavik is situated so far north that many visitors feel like they are standing on top of the world at 72 degrees north. Its location also means that the open-air museum in Upernavik is the world's northernmost. A unique wildlife dominates the Upernavik area, which also has the world's largest bird cliff, Apparsuit. 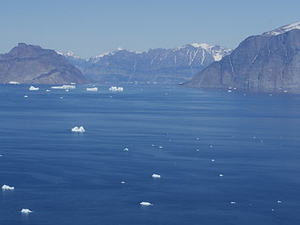 Another famous mountain is the town's landmark, Qaarsorsuaq at 1100 metres. 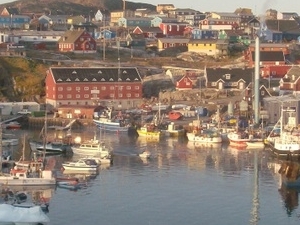 More than half of the 2800 inhabitants of Upernavik's surrounding country, live in the ten settlements along the municipality's 450 km coastline. The main industry here is fishing for halibut, which in winter are caught with long lines through the ice. 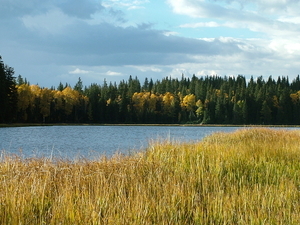 As the sea is frozen from December to June, you get to the fishing grounds by dogsled or snowmobile. The frozen sea with its magnificent views over the Davis Strait make a trip by dogsled ideal for people visiting Upernavik from February to April. However, hunting plays a significant employment role in the settlements. Narwhals are still caught in the traditional way by kayak in Melville Bay, where beluga whales and polar bears are also hunted. For millennia seals have been caught in nets under the ice or hunted when they warmed themselves on the ice under the spring sun. 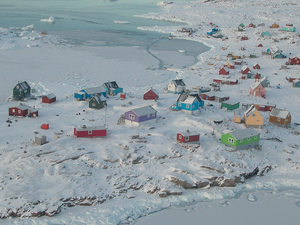 Various hunting trips for tourists can be arranged in Upernavik and the area is ideal for kayaking from settlement to settlement or excursions with chartered boats. 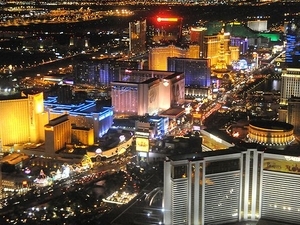 Population: 1107 in the town and 1703 inhabitants spread over 10 settlements. You can go kayaking on mirror-like water with views of the midnight sun and with snow and ice 180 degrees around you. From the international airport in Kangerlussuaq there are several weekly Air Greenland flights via Ilulissat to Upernavik. Transport to and from the settlements usually takes place by helicopter. 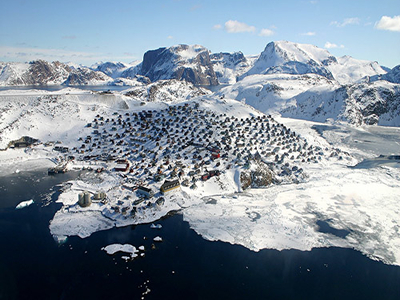 Depending on your actual wishes as regards a trip to Upernavik, it can be a good idea to plan your holiday itinerary and the journey itself in good time. Contact your local travel agency or the tourist office in Upernavik. 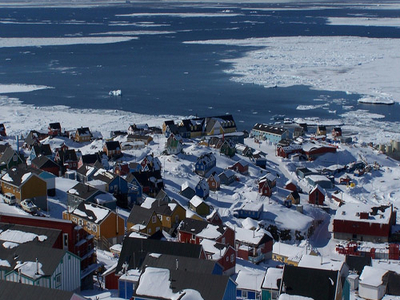 The best way to discover Upernavik is on foot. In summer you can sail with the local boats to the settlements and in winter you can discover the town and its surroundings on dogsled or on skis. 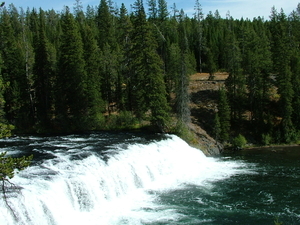 You can stay overnight at the town's hotel or hostel, you can stay privately, in cabins or you can camp anywhere in the countryside, where the view pleases you most.